I pulled out a not-so-old UFO this week to finish up. Remember this one, from Angela Pingel's book A Quilter's Mixology? It was set aside while I was finishing up some other deadlines and now it's back at the machine. 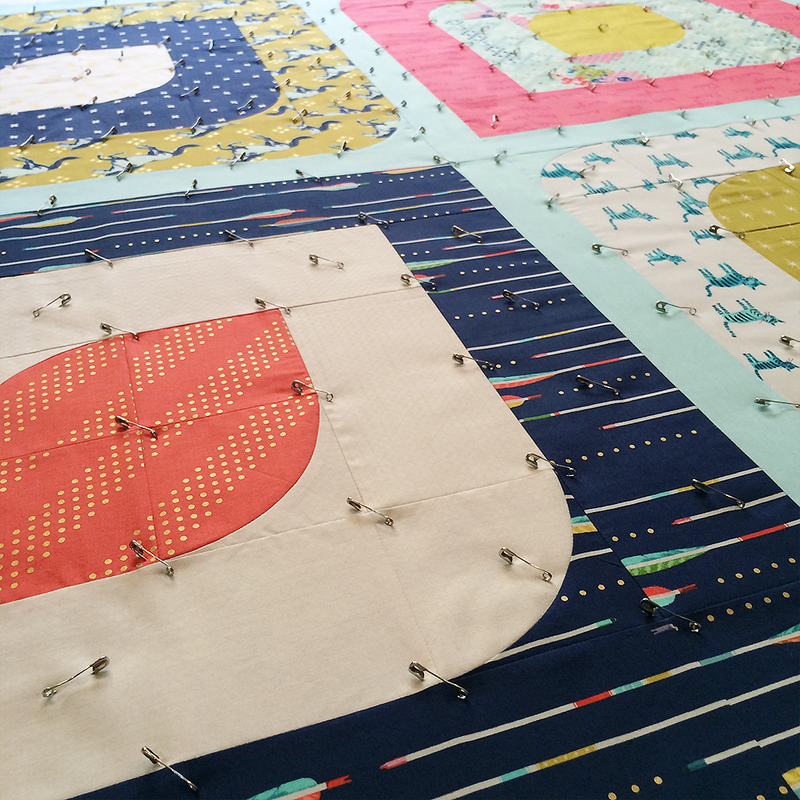 I knew from the start that I wanted to do straight line quilting. Sort of a tedious process though. I am halfway done and hope to finish today. 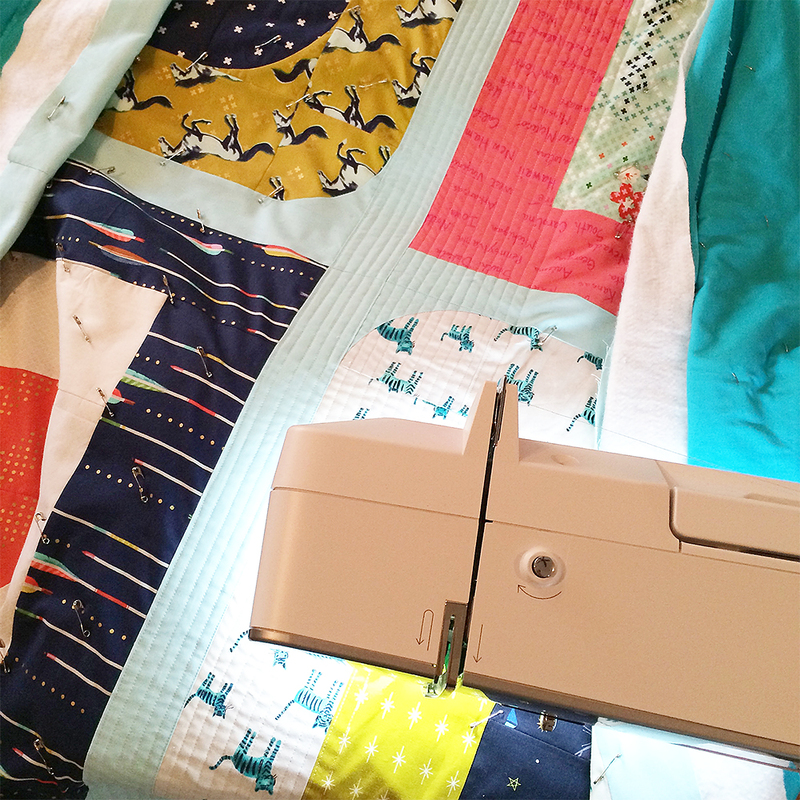 There's this little feature on the Bernina 750QE that I am loving. I can have a short attention span when it comes to straight line quilting. I never want to turn the machine off after I've set up all the stitch length, tension and pressure foot settings just how I like them for a current quilting project. This machine has a button that puts it into "Eco Mode". It's like putting the machine to sleep or power save, but when you press the button again - magic! - you are just where you left off. This is definitely one of those features that I never thought I would need, but I find myself using constantly. And now, to push that handy little button and get back to work.